People who track our touring radius know that the one time we made it to Washington DC was the true anomaly on our appearances. Aside from a few flirtations with NYC and the Catskills, all of our performances have been within New England. Thanks to overtures from the American Writers Museum, we’re gonna try to sneak a bunch of typewriters through TSA and visit Chicago for a couple days. 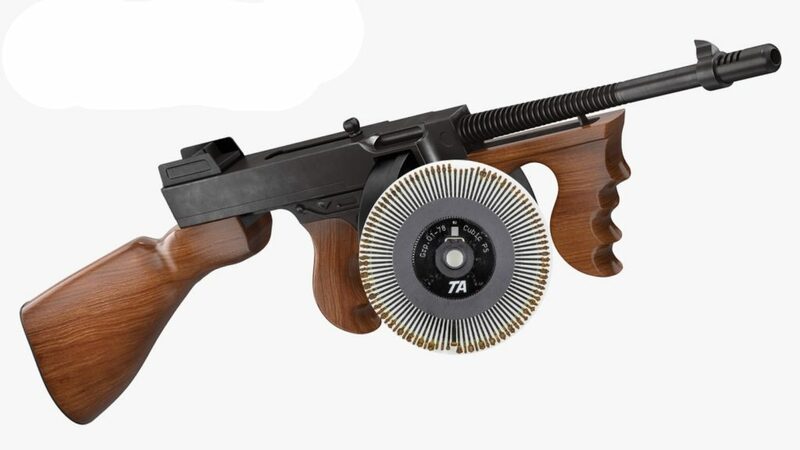 it’s a Thompson supermachine gun outfitted with a daisy wheel! While the AWM performance is for a fundraiser for them and you may need $5000 for a table to see us open and close the show, we have added a gig on Monday April 8 where we are going to play at the venerable Phyllis’ Musical Inn. If you’re in Chicago, come early, as we are scheduled for a 6pm start time. Or if you see a bunch of Bostonians wandering around the streets carrying typewriters, try to point us in the right direction. This entry was posted in Shows and tagged chicago, concert, typewriter, typewriter concerts, typewritermusic on April 3, 2019 by Jeff B.